How to remove startup program/service which starts during booting? I installed EC2 Cloud tools. Which made me wait for 60 sec during boot-up. Later I removed the tool but unfortunately the program was still there and waits for 60 sec during startup. How to I see what program/service starts during bootup and how do I remove it. to also delete the configuration files associated with that package. You can also take a look in System->Preferences->Startup Applications. Finally, remove the package using apt-get. Not the answer you're looking for? 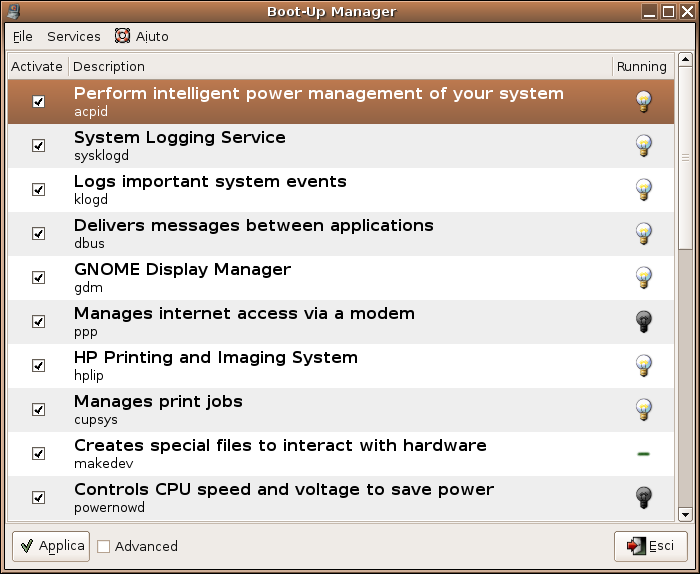 Browse other questions tagged boot startup or ask your own question. Removing Sys-V-Init script in favour of rc.local. Will application still shutdown correctly?